Tressie McMillan Cottom is digital sociologist, professor, writer and columnist. She publishes and lectures around the world on inequality, higher education, technology and culture. She is the editor and author of several books, including the critically-acclaimed, “Lower Ed: The Troubling Rise of For-Profit Colleges in the U.S.” (The New Press). 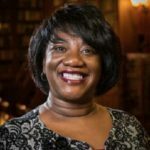 With her colleagues, she has developed the first graduate degree programs in Digital Sociology. Professor Cottom’s research, writing, teaching, and speaking Dr. Cottom shapes national conversations about inequality in the digital society. Amber leads the Academic Technology team in IT Services at the University of Warwick. The team supports and develops the use of technologies in teaching and research. Amber has worked in ICT in education for 20 years. At Jisc she was Assistant Coordinator for Information Strategies, and at Becta she worked on National Grid for Learning and then the Ferl FE information service. 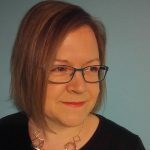 After a stint as project manager at Worcester University she moved to Jisc as a programme manager focussed on open access and open educational resources. She moved to Warwick in December 2012 and there she has steered Virtual Learning Environment adoption, Lecture Capture Policy, Digital Humanities support, Module Evaluation technology approach, the Extended Classroom services coordination and the growth of an academic technologist network across campus. She is a Senior Fellow of the Higher Education Academy, a founding fellow of the Warwick International Higher Education Academy and a steering group member of the Heads of eLearning Forum. Amber has managed projects, services and change initiatives at an institutional and national level, and is always interested in the social and political context of the use of learning technologies. Maren has been CEO of ALT for 6 years, shaping the direction of education technology and driving the field forward internationally. She is a seasoned keynote speaker, conference convener, experienced chairperson and writes regularly for publications in Higher and Further Education as well as policy development. 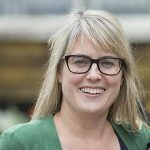 With a background in Anthropology, Maren’s particular focus is on a critical perspective on the development and future of technology in education, professionalisation and skills in Learning Technology including development of the CMALT accreditation framework and leveraging technology to create greater equity in education. She currently collaborates with colleagues on projects including open policy development, edtech start ups and organisational transformation which puts her commitment to open leadership into practice. Her work is bridging Learning Technology discourse across sectors in the UK and internationally. Find out more about the programme and conference registration.